I have been using Advocare since early 2011 and it has made a big difference in my recovery and performance. After my first three weeks of using the Post Workout Recovery shake my Deadlift shot up by 25 pounds! I was very impressed. I took Post Workout Recovery, Rehydrate and Meal Replacement Bars with me to the 2011 FILA Grappling World Championships in Belgrade, Serbia. They helped me perform at my best and recover from the matches that I had on my way to becoming the Grappling World Champion. Post Workout Recovery has become a regular part of my training routine. After every time I lift I take one. It has added to my strength tremendously. One of the things that my opponents comment on is how strong I am. To me that says that I am doing the right things. I recommend taking a look through the products that Advocare offers starting with the Performance Elite line of products. 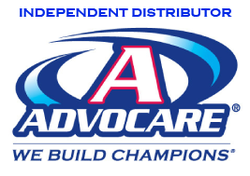 I hope you will give Advocare products a try. You’ll be glad you did!